Traditional Indonesian Batik ~ Learn, Live, and Explore! 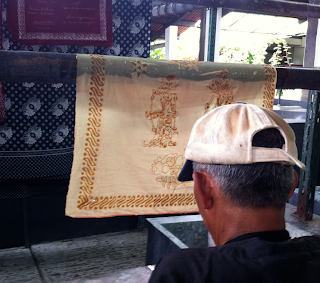 Batik is a traditional Javanese fabric dying technique that uses wax to create intricate, multi-color designs. 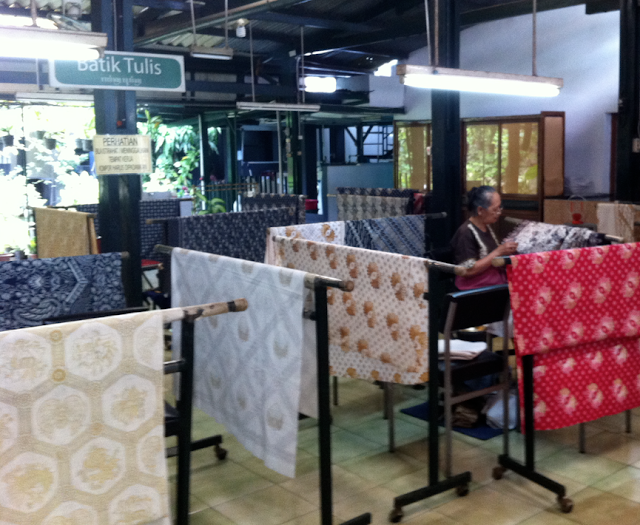 The origin of batik in Indonesia can be traced back to the 6th and 7th century. Jogjakarta is renowned for its production of batik in traditional colors of brown, white, and indigo. So, of course being the crafty person I am, I wanted to visit a batik shop and learn the art while in Jogja. Using wax to repel the dye from the fabric, the patterns must first be conceptualized on the white silk or silk blend fabric using pencil. At the batik shop, they provide you with three options: stencils, metal stamps, or create your own design. I opted to combine a stencil and the convenience of the metal stamp. 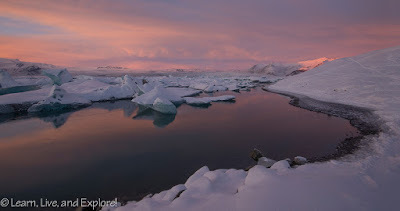 That decision also allowed me to interact with two different production areas in the shop. The pattern I chose for my design included native flowers (stencils) and stamps of male and female wayang kulit (shadow puppet) characters with a traditional border pattern. After tracing my patterns for the flowers, I gave my best attempt at applying the wax to the design, dipping the wax applicator tool in the liquid wax, then carefully tracing the pencil lines with the tip. Well, after my best attempt resulted in three huge drips of wax, I made a plea to the experts to help me. While we could have erased my drips later before dyeing, applying hot water to remove the wax, the artist decided to make them a part of the pattern - my drips will forever be "dotted insects." 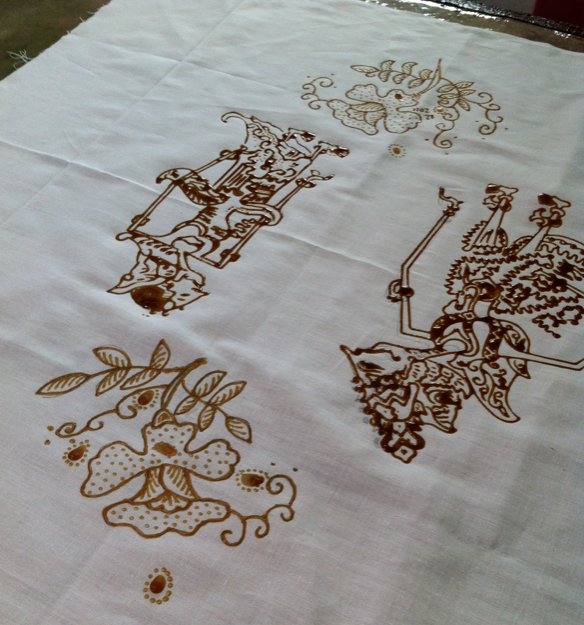 After the flowers were completed, we moved on to the stamping area where I enlisted the assistance of the expert, again, to help me - the design of the wayang stamps was so detailed, I didn't want to mess up. 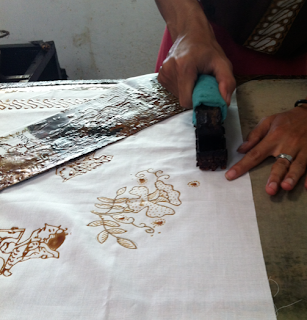 The stamping process involves an initial pressing of the wax, followed by a second layer of wax applied directly on top of the first layer (steady hands required!). 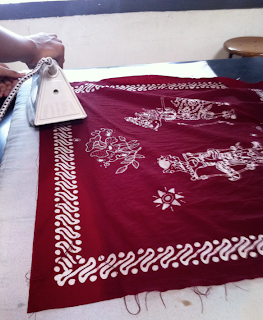 This process is achieved in the hand application by tracing a layer of wax on the front of the fabric, then tracing that application on the back side of the fabric. 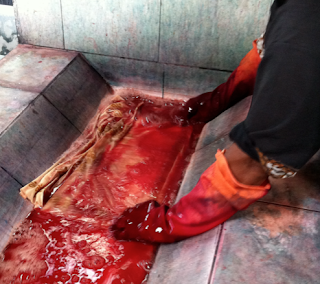 Next, the fabric is moved to the dyeing section of the shop. First, the fabric is rinsed in water to pre-condition the material. Then, the first round of dyeing is performed, what ended up looking like a primer layer. 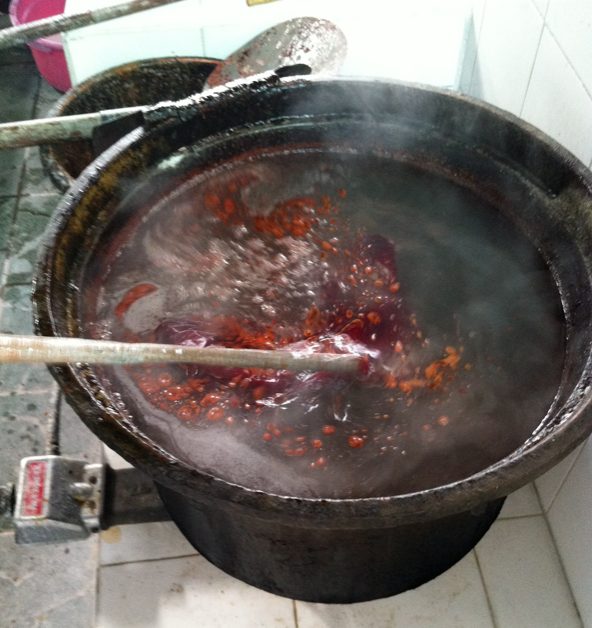 The material is put back into the dye for a second time, where it seems to absorb a much more significant amount of the dye. 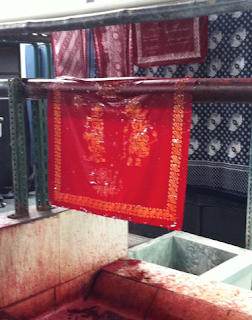 When the fabric had achieved the desired color, it was then put into a boiling pot of water, effectively removing the wax and revealing the pattern. 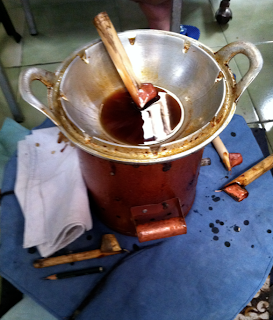 The wax can be skimmed off the top of the pot and reused in later applications. 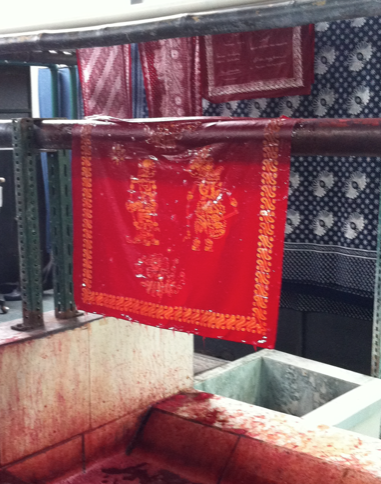 At this point, the fabric can be dried and the process can be repeated to add more colors. 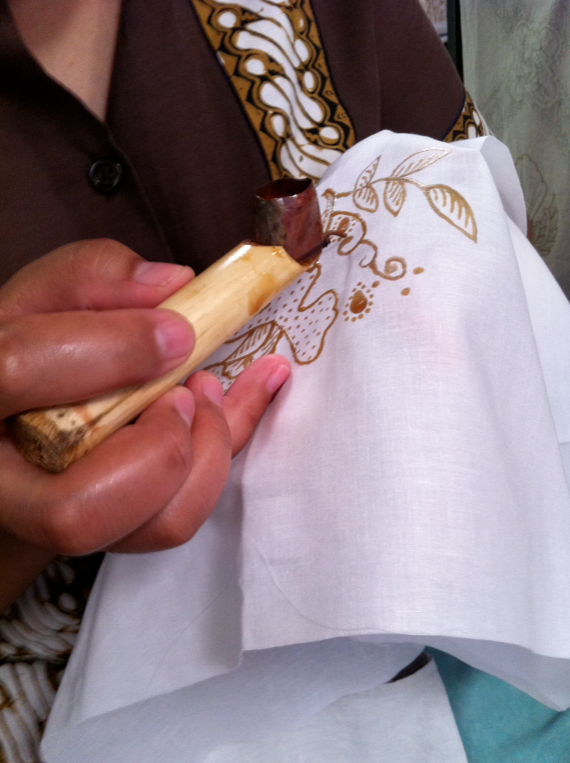 Of course, since this was just an introductory demonstration of the batik process, my design went straight to finishing. 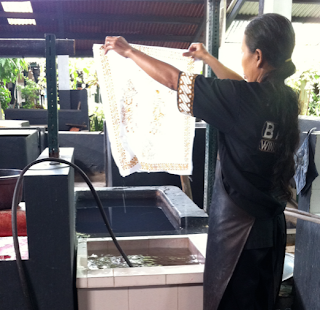 To create the finished product, the fabric is simply air dried then ironed. 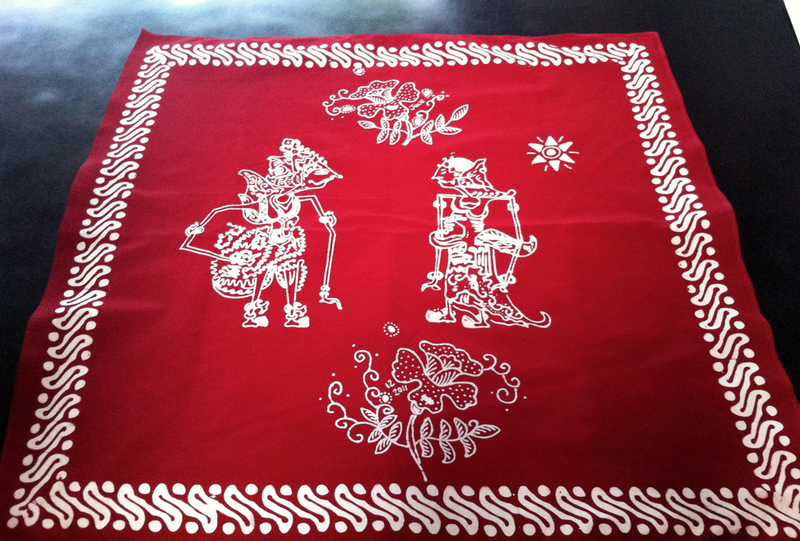 And here is the end result of my Indonesian batiking efforts in Jogja!